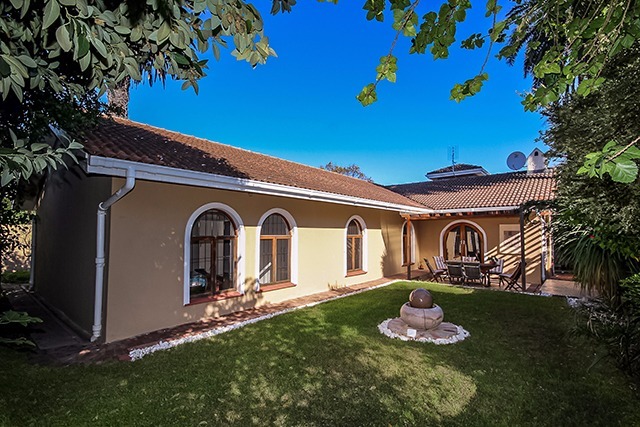 you will fall in love with this renovated Spanish style 4 bed family home, offered at R4 750 000Perfect home for those scaling down or lock up and go. A light, bright and sunny home! Beautiful laminated wooden floors and renovated kitchen and bathrooms. Spacious sunny lounge and dining room with gas fireplace leading onto lovely entertainment patio and low maintenance garden.